Soups and winter go together like, well, broth in a pot. Not only are they a nourishing and convenient way to keep away the chill on winter nights, but also have several benefits when it comes to keeping away those other, nastier colds. 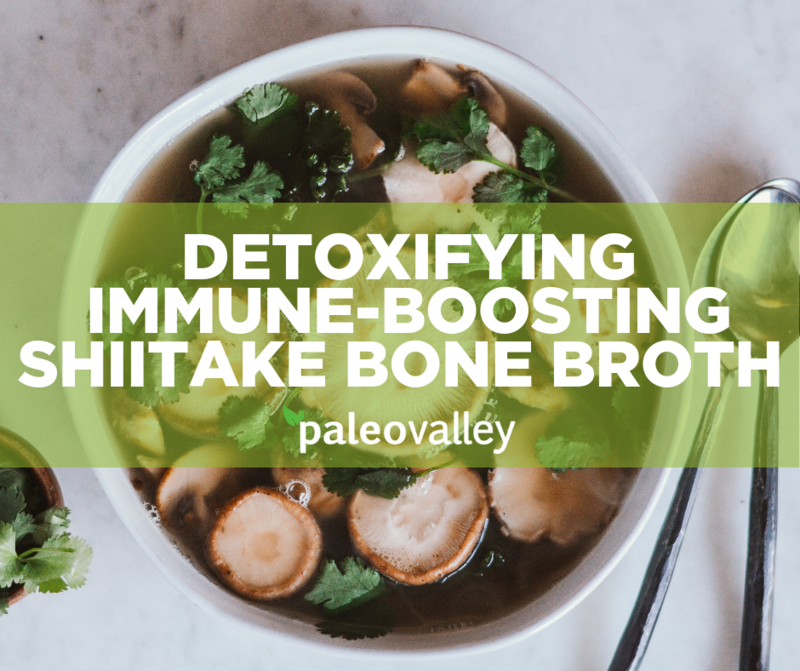 This broth in particular contains several detoxifying and immune-boosting ingredients, including shiitake, cilantro, and bone broth protein. 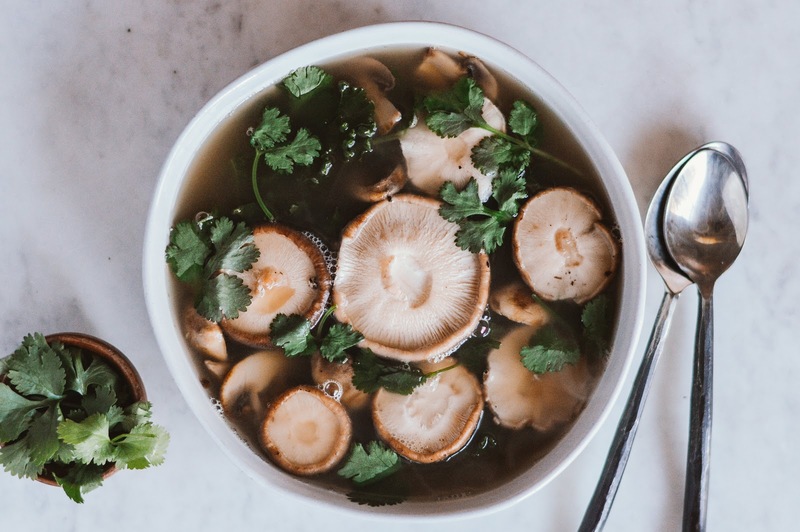 Shiitake has been shown in studies to boost immunity and the health of immune cells, while bone broth contains compounds that help improve intestinal immunity. 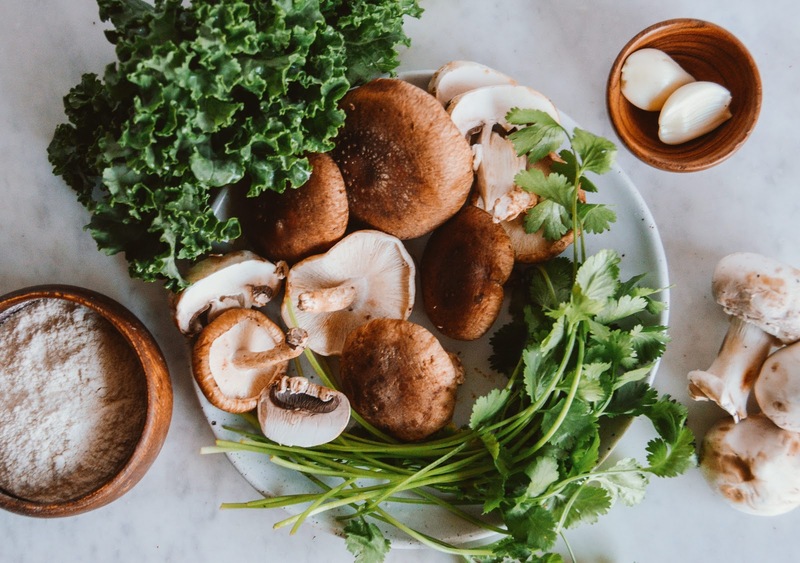 We topped it off with a dash of fresh cilantro, which can help your body detox toxins, especially from heavy metals like mercury (1, 2, 3). One of the greatest things about this broth (aside from its magic ability to defend against colds) is how easy it is to make. With minimal prep and a blender, you can have this soup ready, warm, and waiting in under an hour. 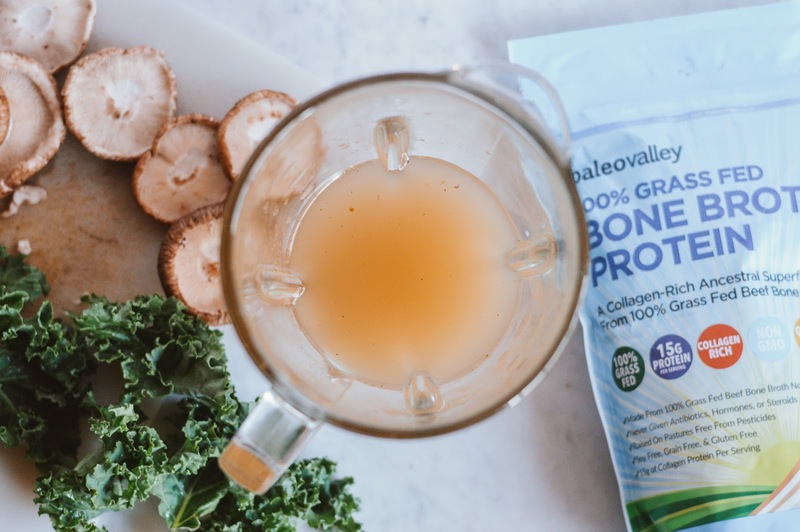 Add one serving of bone broth protein to your blender, followed by 2-3 cups of warm water. Pulse on high until blended well, then pour into your soup pot. 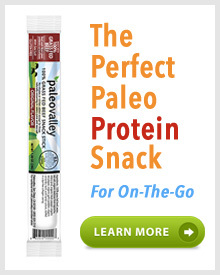 Chop all your veggies, including your kale. Set aside. Add olive oil, onion, and garlic to your saute pan and saute on medium until translucent. Add cremini and shiitake mushrooms. Saute until soft, or for about 5 minutes. Turn the heat on your soup pot. Add all of the ingredients to the pot, stirring until well combined. Bring to a light simmer and cover. Let cook for 25-30 minutes. Pour in a bowl, sip, and feel the warmth spread. 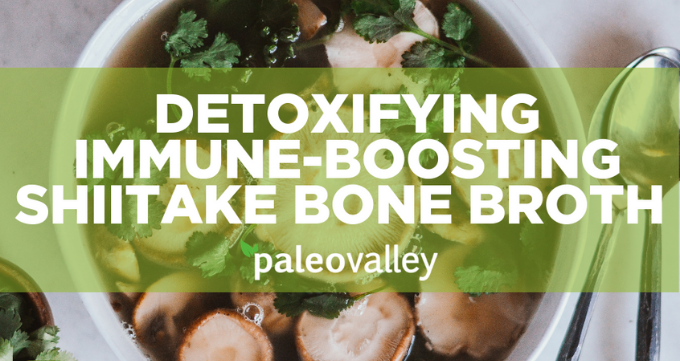 Warm up this winter with Paleovalley 100% Grass Fed Bone Broth. Pick yours up today for up to 20% off.